Home » »Unlabelled » Little girl sees a man crying outside of a store. What she does next has her mom so proud! 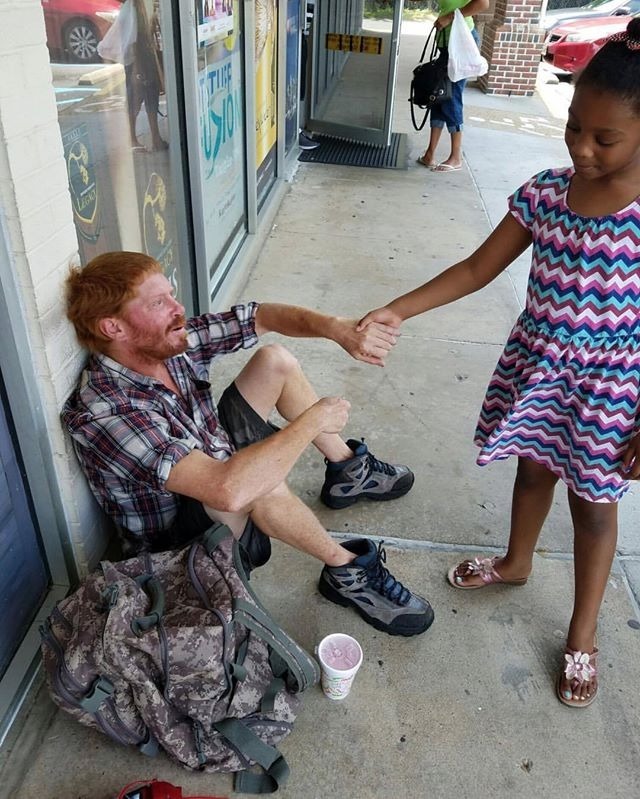 Little girl sees a man crying outside of a store. What she does next has her mom so proud! She gave him a few dollars out of her purse and her drink and said, 'Please go eat. It would make me happy. I like McDonald's you should go there.' I could tell she made his day. On top of that 2 more people came up and gave money as well. We had a small conversation and he explained his trailer burnt down and he lost everything including his wife. I felt for him. It just warms my heart. A 6-year-old lead by example this morning. AWESOME! Kids see no color and that's exactly how it should be. It's not just a statement saying that the children are our future, it's a FACT. That gives me a little more hope for the world." Kenyatta is right. Children ARE our future. And this mom is doing a great job raising hers!